Are you muddled what to gift your camping friend who will make him feel excited? No worries!! There are endlessly fascinating and innovative camping gears accessible to shop in the market; picking up gifts can be tricky. Avid travellers or backpackers love gear, but you must be choosy picking up outdoor gears. Frequent flyers might already be holding a bunch of essential gears, so go for some unique camping gifts which will definitely be appreciated and accepted by anyone who loves camping. Here are given the awe-inspiring list of gifts for campers, you can consider shopping 2019. If you gift a hammock to camping enthusiast, he is going to adore it. It is impossible to find someone who doesn’t like a hammock. Couples can turn their wilderness hike into a romantic getaway. The breathable nylon hammock dries out moisture fast, and they are perfect for relaxing at the beach. They are big and strong to hold two people at a time. Campers can read a book or take a nap relaxing on the hammock. If the camping area is without trees, you may use hammock stand to set up it anywhere. Campers must pack a wood burning stove if they are planning to stay for longer days. It is durable stainless steel aluminium stove, tiny and highly portable. It is an ideal product to be used for woodland travellers and forest camping. You have to fill the combustion chamber with twigs and sticks and enjoy campfire cooking. You can boil water within 3 minutes and the ideal product to cook a meal for beach-side dining. 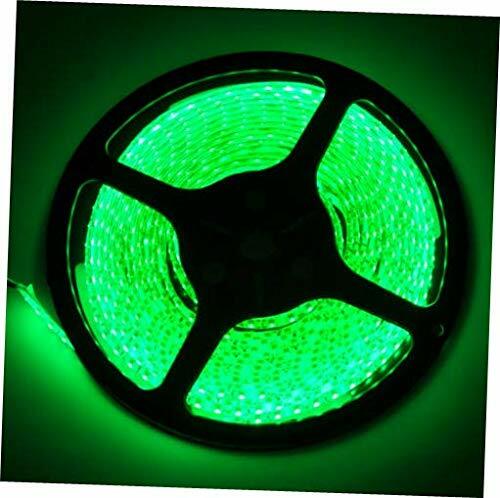 The rope light can be used to meet different purposes like camping, cycling and decorating around your home. The chargeable waterproof LED light can be tied or hanged to the trees near to your campsite. They provide safety during night times by keeping animals away from your tent. Put them inside your storage bag to turn it into a lantern. The innovative waterproof lighting system is a versatile solution to light up the outdoor space after dark. If you are enjoying camping with your family, you need to carry durable meal sets. Solid, highly durable crockery sets can make a perfect gift item. The gift set comprises plates, cups, and bowls. There are timeless classic designs available; anyone will fall in love with it. They look awesome when served food on camping locations. When looking to shop a unique gift for your camping buddy, a portable compact sized charger is an ideal pick. To charge all sort of gadgets, you always need to carry a charger especially when you are far away from home. The small-sized portable charger recharges in 6 hours, and they can fully charge a phone twice. They offer a great advantage for frequent backpackers. White light can entice a group of nighttime insects when camping outdoor, but amber lights don’t. The bug proof LED lantern generates not so bright amber light that doesn’t lure bugs. The lantern runs on 4D batteries, and the amber light lasts for 1000 hours. The waterproof lantern can be kept outside in the rain, and you can even carry to beaches, it will float. The soft portable cooler pack, which comes in attractive shades, makes a great choice to gift family campers. The cooler keeps your refreshment chill during road trips. You can stock snacks, ready to eat foods, dairy items, ice and much more in the cooler pack. 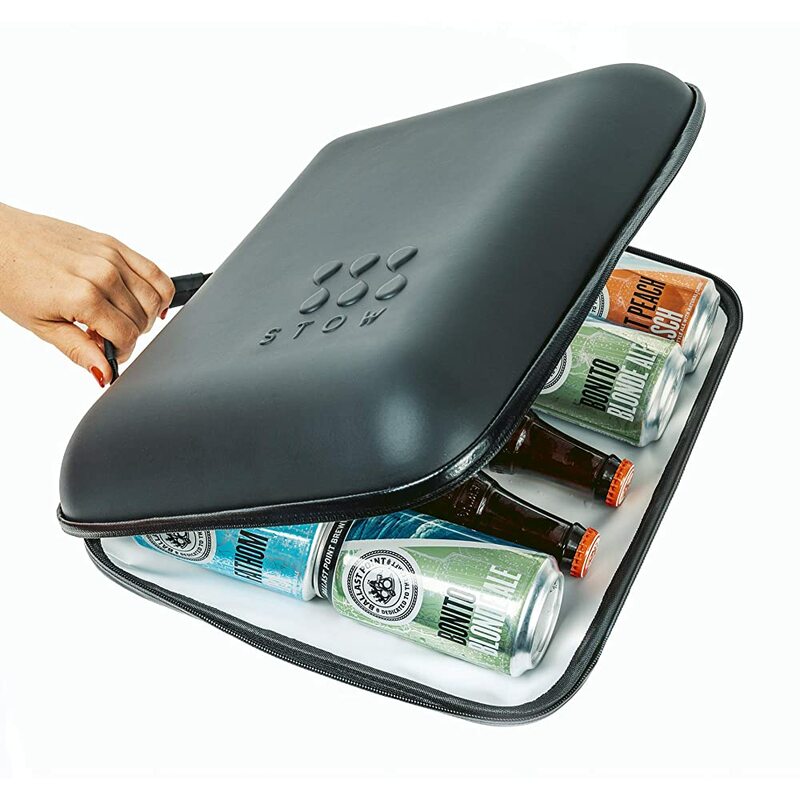 The pack remains flexible than sturdy, keeping your food and drinks cool and fresh for longer days. The durable cooler is long-lasting. A pillow is an essential camping gear for any leisure travellers and campers. The compression foam pillow is compact and can be expanded to a large size. They are a popular camping gift choice because anyone from international travellers to backpackers can use them anytime. It’s mushy, and foam filling pack expands big. For a home-like comfort, make sure you have them in your camping accessories. A hydro flask can be gifted to summer campers because it keeps refreshment superbly chilled for hours. Sipping warm beer in the hot sun is not at all a good idea. The double wall insulated hydro flask container gorgeously is a perfect choice to enjoy any drinks when camping near the beaches. It is stackable, and it looks trimmed. It fits perfectly in your hand and feels superb sipping up chilled drinks. An ultra-light air mattress is an essential camping accessory; you can’t miss out. They remain a perfect gift choice because the mattress is available at a pocket- friendly price. They remain thick and protect you from sharp rocks and sticks underneath your camping shelter. Surprisingly, they are durable, inexpensive and comfy. Though many campers might be holding camping coffee pot, it still makes an awesome gift for ages. Those who love sipping the second cup of coffee can surely carry with them when camping out. You can make brew coffee using paper filters, and it easily fits over your camp stove burner. The pretty cool coffee pot is made of stainless steel. You might have seen other campers carrying a bucket, axe, and shovel. Compact size, portable axe doesn’t take enough space in your car. They make an essential gear for car campers. Plus, the lightweight glass filled nylon handle remains super strong and lasts longer. 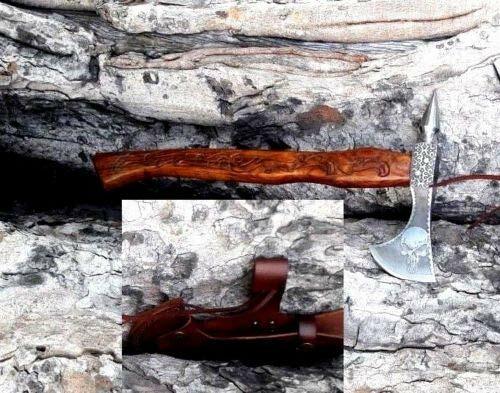 Axe is needed to collect wood and sticks arranging campfire. So it makes an ultimate gift choice. The charcoal stove remains a safe and quick cooking solution for families. They are designed to be used for camping and indoor cooking. Fueled by charcoal, the versatile stove comes up with grilling accessories. You can boil, grill and bakes your favourite food at the campsite or caravan. You can serve quick and easy meals at no time. If it’s family camping or staying outdoors with a group of friends, you may struggle with your limited cook set. A well-organized holiday with four people demands for extensive cookware. Pinnacle cook set includes all culinary needs with a kitchen sink. The pans offer non-sticking coating for oil-free cooking. The pots and pans remain durable yet lightweight. The kitchen tool fits neatly inside the stuff sack. The culinary set is quintessential for a family camping trip. The folding chair is inevitable when packing for a backcountry trip with your friends. There are lightweight, sturdy camp chairs handy that offer comfort and ease of using a big chair. The chair can be folded into its base making it easy to bring alone in your car. Relax reading your favourite book and sipping hot coffee during the evenings. Campers prefer carrying lightweight and durable camping gear for weekend outdoor adventures. Picking up gifts for avid travellers is not a daunting task now with lots of options available easy to shop online. So before you backpack to next destination upgrade your camping accessories with cool camping gadgets.